The classic, unforgettable musical, The Phantom of the Opera tells the tragic story of a young composer shamed by his physical appearance and his love for his beautiful protégée Christine Daaé. Spectacular scenery and breath taking special effects combine to transport audiences to the majesty and splendour of the Paris Opera House where the Phantom lives out his shadowy existence. The combination of opulent sets, splendid costumes and Andrew Lloyd Webber's spine-tingling theatrical score creates an experience not to be missed as the love story is brought to life each night.. After 25 years and over 10,000 performances on London's West End The Phantom of the Opera is a worldwide musical phenomenon. 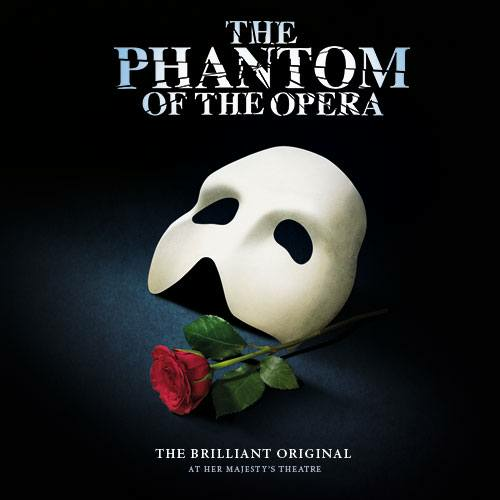 Phantom of the Opera opened at Her Majesty’s Theatre on 9 October 1986 with Michael Crawford and Sarah Brightman in the starring roles, and has become a record breaking worldwide sensation reaching audiences in nearly 100 cities and attracting over 50 major theatre awards in the process.